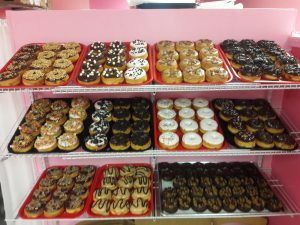 ***** Nuts 4 Donuts, 19630 S Tamiami Trail, Fort Myers, Florida 33908, (239) 432-0083. 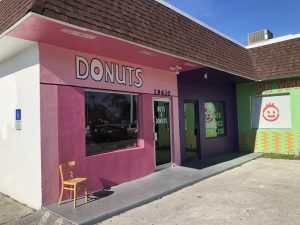 Got a real good donut joint for you guys to checkout, Nuts 4 Donuts in Fort Myers. 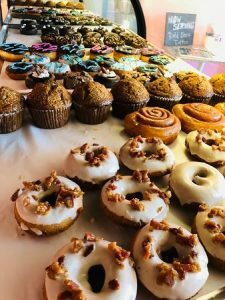 Real simple concept working here…hole in the wall, order-pickup at counter, booth/table seating for 7, off the chart delicious-donuts/cinnamon rolls/muffins, open 7 days a week 5:30am-3pm. 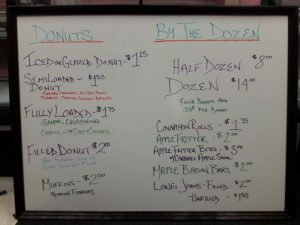 Yeserday morning, Jeff Eats and Mrs. Jeff Eats found Nuts 4 Donuts – and like I just mentioned, off the chart delicious stuff! 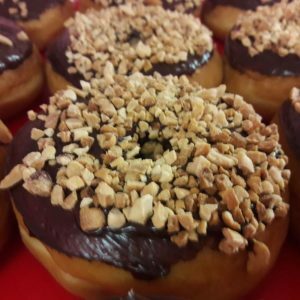 Let me wrap-up this Nuts 4 Donuts’ tale- by telling you guys, this joint is the real deal…if you like donuts/cinnamon rolls/muffins, you will absolutely love- Nuts 4 Donuts! 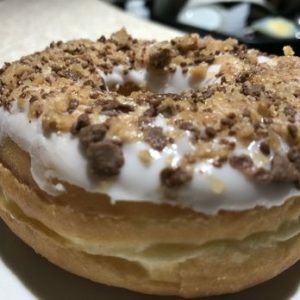 If you need more info- nutsfordonuts.com. 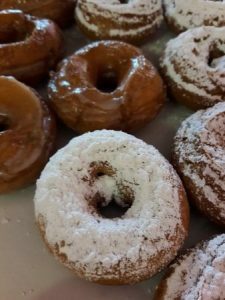 Awesome donuts! They melt in your mouth! Hole in the wall is being kind. As you pointed out, maybe room for 7 people to sit. 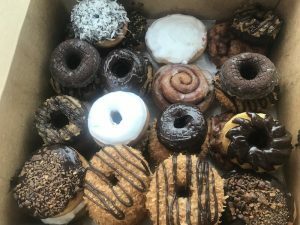 Incredible donuts. Great recommendation.